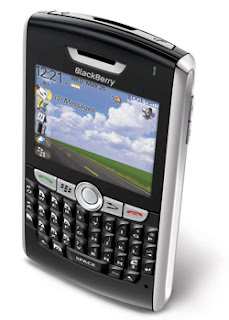 CNET reported about the WiFi-enabled Blackberry, the 8820. After getting the green light from the FCC just a couple of weeks ago, Research in Motion today officially took the wraps off the RIM BlackBerry 8820, the company's first smart phone with integrated Wi-Fi. Available through AT&T Wireless later this summer, the 8820 supports 802.11a/b/g standards and is compliant with Wi-Fi security protocols, including WEP and WPA.